More than 80 per cent of company car drivers admit to speeding on motorways, but still consider themselves to be law-abiding drivers, research from RAC Business has found. In total, 81 per cent of company car drivers admitted to regularly breaking the 70mph speed limit, compared to 69 per cent of private motorists. But when asked if they consider themselves to be a law-abiding driver 90 per cent said yes. The research from the RAC’s Report on Motoring 2015 suggests some motorists don’t consider speeding to be a serious driving offence, especially on motorways. In fact almost two-thirds of company car drivers (64 per cent) believe the law should be changed, with the speed limit increased to 80mph. Almost half of company car drivers (46 per cent) said they regularly hit speeds of 80mph on a motorway, with a further five per cent admitting to reaching 90mph. 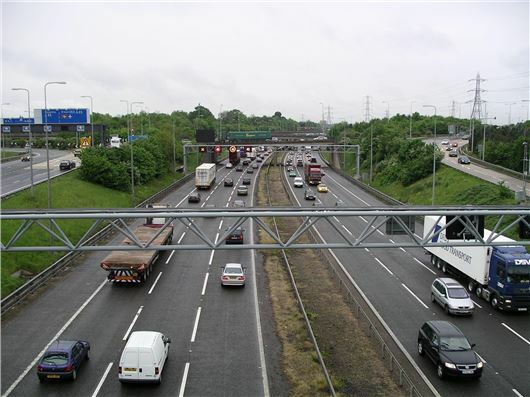 However, there are signs that motorists may be taking more care as compared to last year’s findings the proportion of company car drivers admitting to speeding on motorways has dropped from 88 per cent in 2014. According to the RAC research speeding is less of an issue in more residential areas, but still a quarter of drivers (23 per cent) admitted to regularly driving at 35mph in a 30mph zone. Jenny Powley, corporate business sales director at RAC Business, said: “When you drive as part of your working day and are running late for meetings, it can be very tempting to break the speed limit. It’s worth reminding drivers that the risks associated with speeding can far outweigh the time saved. After all, driving at 80mph instead of 70mph will only save you six seconds a mile, or 10 minutes over 100 miles. “It’s also worth considering the impact of speeding on fuel efficiency. According to the Department for Transport, driving at 80mph can use 25 per cent more fuel than driving at 70mph, so this can have a real impact on the business’s bottom line. “The growing adoption of telematics technology across fleets of vehicles means that businesses now have more visibility on how often their employees are speeding.